Add/Delete Internal Effect Presets, that can also shared/merged with other users. Drag & Drop effects in main screen to fast reorder. Fast MIDI learn assign with right click in each parameter. Hide Function for unused effects. Drag and Drop presets in bank window to fast swap. User directory, a place to put your preset banks in order to be accessible by a single click. Optimized filters and Trigger for recognition note frequency. 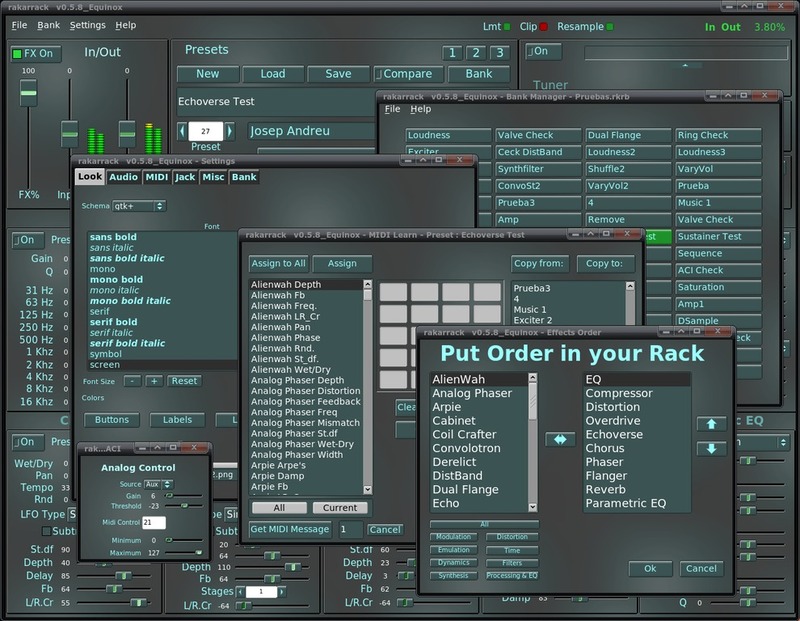 MIDI Program Change Table, that can be save/load.